Statue of Saint Paschal of 60 cm. 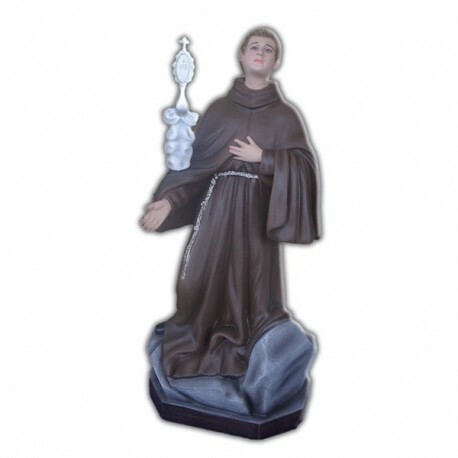 Statue of Saint Paschal, 60 cm of fiberglass, handmade in Italy. Saint Pschal Baylon was a franciscan and he is commemorated on the 17 of May. He lived between 1540 and 1592. He was born in Torre Hermosa (Aragona) where he worked as a shepherd. In 1564 he became a franciscan. He spent his life as porter in many convents in Spain. He was always animated from a deep love for the Holy Eucharist and he difended it in France, against a Calvinist Preacher. He was beatified in 1618 and he was canonized in 1960. In 1897 he was declared the patron of the confraternities and of the eucharistic congresses. 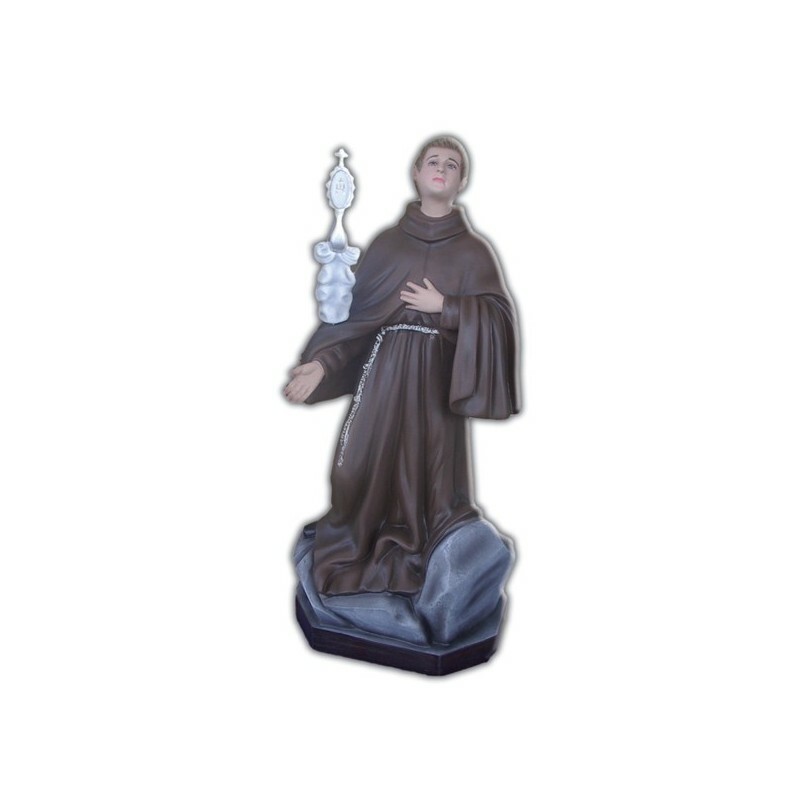 He is illustrated wearing the franciscan clothes, while he is taking a monstrance. He is considered the patron of the cooks, of the women and of the unmarried women. Another nosiness is that he probably invented the zabaglione.